Have you ever desired to explore the United Kingdom? Then this is your chance to speak with the Experts! 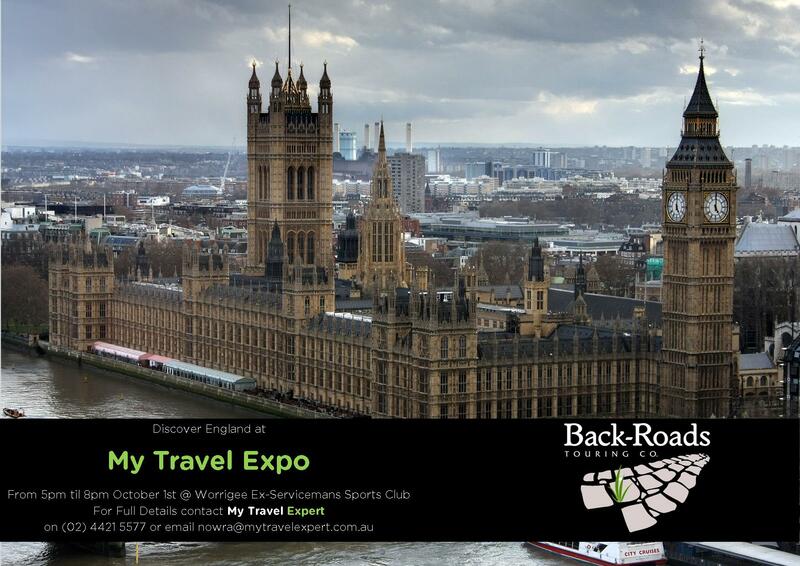 On the 1st October from 5pm to 8pm at Worrigee Ex-Servicemans Sports Club we are hosting the South Coasts largest Travel Expo – My Travel Expo, we have several companies attending who specialise in the U.K including Backroads Touring, Globus, Trafalger, Qanats Holidays and More. Backroads Touring, is a fantastic boutique operator with some of the best access to touring the UK in Australia, with a range of small group tours that while covering the major sites of England, Wales, Scotland and Ireland will also get you off the beaten path and onto the “Backroads”to see some of the UK Hidden delights. So if you want to experience the United Kingdom then today is the day to talk with the experts!